Paul is the CEO of the NEC Group, one of the World’s top venue management companies. Since 2006 he has led a transformation of the business and has secured record levels of growth by seeking out new opportunities for the Group’s award winning campus and city centre venues. He has led the expansion of services to compliment the group including The Ticket Factory, Amplify and Amadeus. Committed to creating opportunities for the next generation, as well as working towards conflict resolution through sport, Paul uses his contacts in media, sports and events. 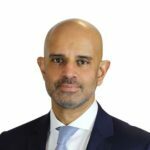 He is Chairman of the Solihull Employment and Skills Board, sits on the board of West Midlands Growth Company and provides business mentorship to two CEOs in London and Birmingham operating in the digital and media markets.